Argento 1.6.0 with new Flat design is now available! This entry was posted on April 3, 2015 by TemplatesMaster. Hope you are hungry for something fresh. Today we'd like to give you what you need to wow. Meet Argento 1.6 with new Flat theme! 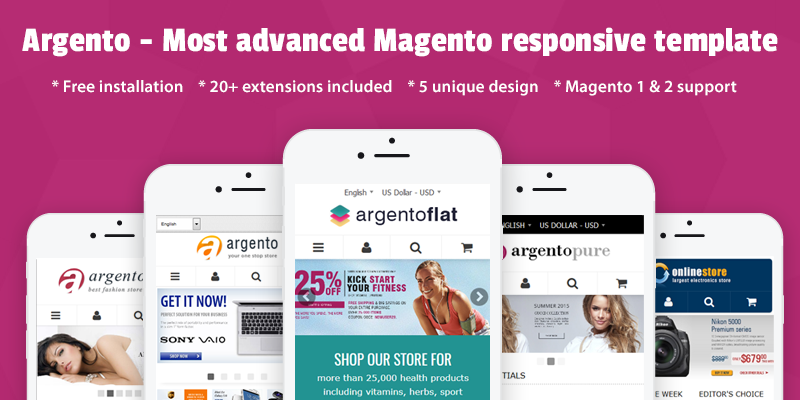 It is fully compatible with Magento CE 1.9.1 and you can count on our great support. 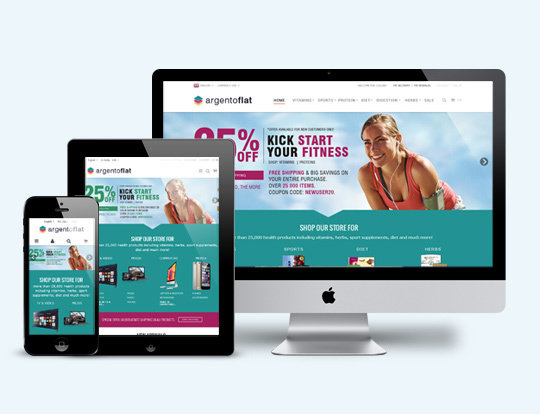 Check out a plenty of cool features of new Magento skin. We think you'll be pleasantly surprised of the configurable sticky header, the product page with brand logo or fixed-width layout. By using the Flat theme, you will see the improved integration of configurable swatches and also the refined styles of pagination toolbar. Updated logo width for mobile phones. 1x rule added to all srcset attributes. Easycatalogimg widget style in pure theme. Map popup positioning over ajaxpro window. ArgentoPure footer icons bug in IE11. Small logo in chrome browser. Fontawesome styles inside std elements. Fixed compatibility with ajax layered navigation price slider. Get more updates and fixes with Argento 1.6. The Ajaxsearch extension provides better scroll perfomance on iOS gadgets and fixed pixelated image on retina devices. A transparent images support was added to Easycatalog Images plugin. It also enables setting of background_color by using widget now. Moreover, some other templates were updated in order to keep satisfying customers. As you see, the Argento is making name for itself. Stay tuned!